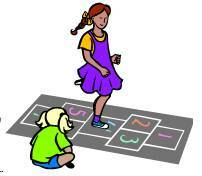 Can C453 Repeatedly Achieve Tax Deferral for the Same Money, As in Hopscotch? Being ready to retire, Farmer Bob wants to sell his farm and defer the tax on the gain on sale. Then, for a new source of income, he wants to buy a fractional interest in developable real property owned by New Deal, LLC. If Farmer Bob were required to pay tax now on the sale of his farm, however, he wouldn’t be able to purchase a sufficient fractional share in the developable property to produce the income he needs in his retirement. New Deal, LLC, has owned the developable property for some years, but needs a source of cash to be able to develop its property to its highest and best value. If that cash were immediately taxable, however, New Deal, LLC, wouldn’t be able to realize the full potential of the property. S.Crow Collateral Corp.’s "collateralized installment sale" or "C453" transaction process helps both Farmer Bob and New Deal, LLC, achieve their goals. Here’s how. Farmer Bob sells his farm to S.Crow Collateral Corp. on a C453 no-money-down, interest-only, non-amortizing 30-year installment-sale contract. In so doing, Farmer Bob defers the tax on the gain for 30 years. S.Crow Collateral Corp. re-sells the farm to a third-party buyer, for cash. Farmer Bob borrows money from a lender introduced to him by S.Crow Collateral Corp. The lender lends Farmer Bob an amount of money that is typically approximately equal to 95% of the amount which S.Crow Collateral Corp. receives on the resale of the farm. Terms on the loan are arranged in such a way that S.Crow Collateral Corp.’s payments to Farmer Bob on the installment contract will assuredly and fully provide the money for Farmer Bob’s repayment of the loan. Farmer Bob uses the loan proceeds to purchase a fractional interest in the developable property owned by New Deal, LLC—a much larger fractional interest than Farmer Bob could have purchased if he’d had to pay tax on the gain on the sale of his farm. Moreover, Farmer Bob enjoys a stepped-up tax basis in the new fractional interest. When New Deal, LLC, is ready to sell a fractional interest in its property to Farmer Bob, it first sells that fractional interest to S.Crow Collateral Corp. on a C453 installment contract: that is, a no-money-down, interest-only, non-amortizing 30-year installment-sale contract. In so doing, New Deal, LLC, defers the tax on the gain on that sale for 30 years. S.Crow Collateral Corp. re-sells that fractional interest to Farmer Bob, for cash in the amount of the loan proceeds Bob had received. New Deal, LLC, borrows money from a lender introduced to it by S.Crow Collateral Corp. The lender lends New Deal, LLC, an amount of money that is typically approximately equal to 95% of the amount which S.Crow Collateral Corp. receives on the resale of the farm. Terms on the loan are arranged in such a way that S.Crow Collateral Corp.’s payments to New Deal, LLC, on the installment contract will assuredly and fully provide the money for New Deal, LLC’s, repayment of that loan. New Deal, LLC, uses the loan proceeds to undertake and complete the development of the property—to achieve a much higher market value than New Deal, LLC, could have achieved if it had had to pay tax on the gain on the sale of the fractional interest. If New Deal, LLC, thereafter becomes a dealer and offers the property in lots to the public, even within one year, its doing so won’t deprive New Deal, LLC, of installment reporting on its earlier sale of the fractional interest to S.Crow Collateral Corp.